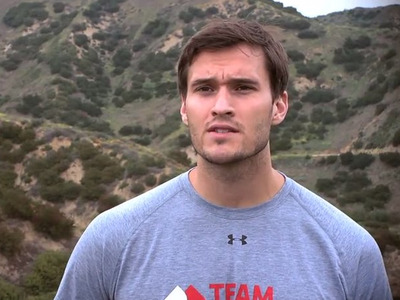 YouTubeJake Wood in a July 2, 2012, thank-you message to Team Rubicon volunteers. Jake Wood had been out of the Marine Corps for only three months when one of the worst natural disasters in history convinced him that the skills he had honed in the military were still badly needed, even if he was no longer in uniform. “I saw the Haiti earthquake and sprung to action,” the Iowa-born ex-scout sniper, who deployed to Iraq in 2007 and Afghanistan in 2008, told Business Insider. 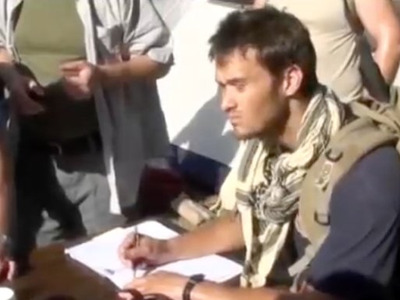 Within four days of the Jan. 12, 2010, disaster, Wood, who held an undergraduate degree from the University of Wisconsin and was thinking about entering graduate school, had arrived in Port-au-Prince with a small group of first responders organised through social media and connections from the military and college. A team of ex-Marine and Special Forces medics quickly ballooned into scores of former military personnel, eager to lend their abilities to the relief effort. “People were drawn by seeing others take action,” Wood recalled. After three weeks, his team had more than 60 volunteers from the US. And nearly five years later, Team Rubicon — the organisation that has grown out of those initial, somewhat impulsive efforts in Haiti — has 28 full-time employees on top of more than 20,000 volunteers through 10 geographic regions. Wood is the group’s CEO. Team Rubicon had added more than 300 volunteers in the week before Business Insider spoke with him. The volunteers are all US military veterans, eager to dedicate their skills toward responding to humanitarian crises around the world. Team Rubicon has been sent to respond to crises that become major news stories. Wood says the group’s efforts organising nearly 3,000 volunteers after Hurricane Sandy, the superstorm that devastated the coastal neighborhoods of New York City, was his group’s largest mobilization and earned plaudits from the National Guard, FEMA, and even former President Bill Clinton. But it has also sent volunteers into situations that are far off the front pages: floods in Iowa, mudslides in California, or tornadoes in the Midwest. Team Rubicon is now large enough that it can send volunteers nearly anywhere in the US, and even beyond. That is partly because Team Rubicon has an innate appeal to ex-military personnel. It allows them to continue to use their military skillset while filling the emotional and psychic space that can sometimes feel empty or unsatisfied once a military career ends. “A purpose-filled life is the foundation for a healthy transition,” Wood says. “We provide an option that is exciting and tangible to the returning veteran.” A humanitarian crisis is “something that they can relate to” after the unique pressures of Iraq or Afghanistan. The aftermath of a flood or a hurricane presents a situation in which veterans are clearly needed and where their impact can be immediately seen. Returning veterans who need a “wall” to stand on can find it in disaster response. By tapping into that need, Team Rubicon is now large enough to be able to respond to everything from typhoons in southeast Asia to hurricanes in the US.